Take any photo and add effects to make you look 50 years older. 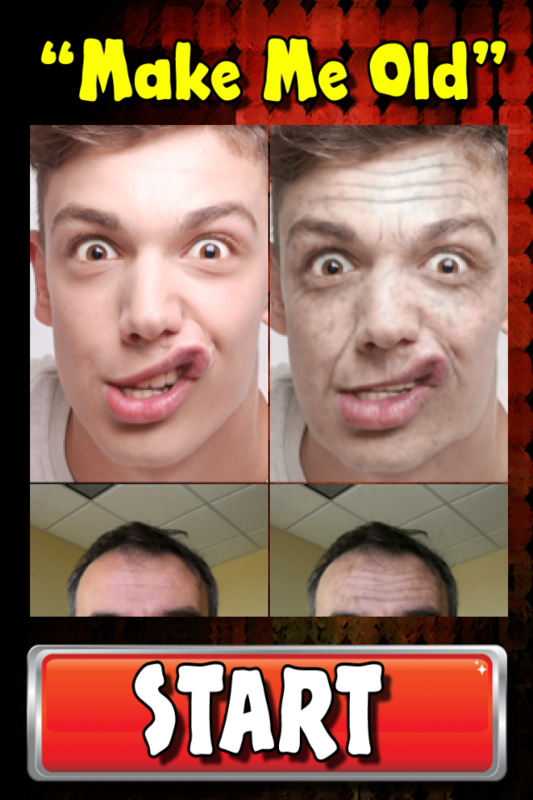 If you've ever wondered what you will look like in 50 years, then "Make Me Old" is the app for you. Take a photo of your friend and turn him or her into an old Geezer. It's as if you spent hours editing his or her picture in photoshop. But with Make Me Old, there is not photo editing or photo effects that you need to manually apply. The aging effects are all automatic and will blow you away. One day, we will all be elderly, but you can see how you'll look when that day comes. Make Me Old will have you laughing at the funny images. Works with any stored image or you can use your camera. It's like entering an alien aging or old booth that transforms you. Easy to use, with no editing required. Tired of games and puzzles? Don't want to think about strategy? 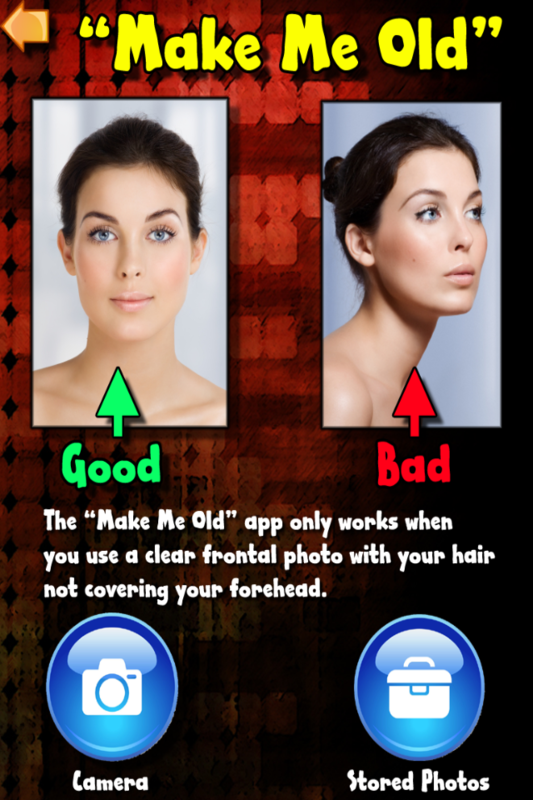 Then relax and use Make Me Old, an awesome entertainment app for iphone, ipad, and ipod. So say to yourself, " Make me older " and get this app. 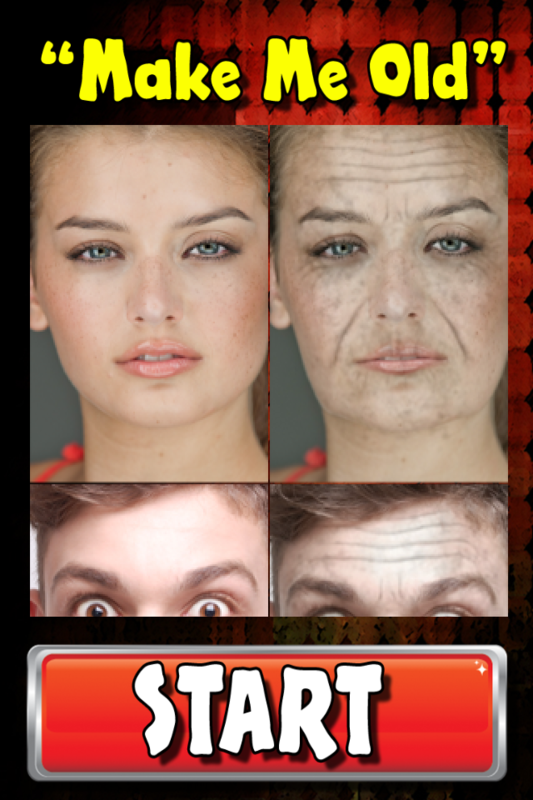 See what you look like as you age yourself 50+ years. . Download "MAKE ME OLD" right now.